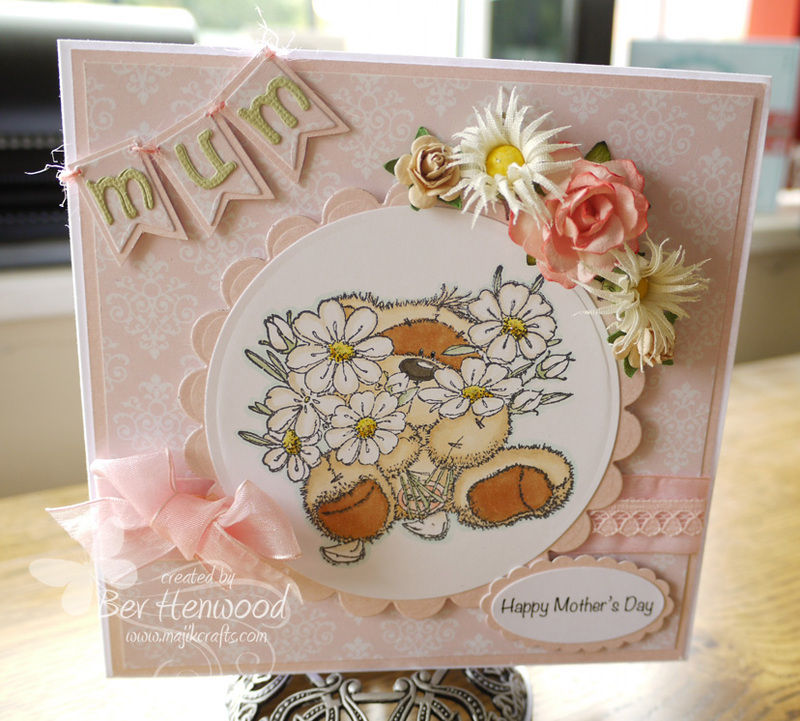 I love your MUM card !! Such a sweet little bear. Great colouring too! This is beautiful Bev. The image is adorable and I love the colour scheme. Sooooo cute and gorgeous too. Hope to see you again in our next challenge. LOL Leave it to those Mum's to set us straight. :-) I think your card is just lovely and I was already thinking how much I liked the banner before I read your post. Thank you so much for your kind words on the loss of my furbaby Bev. I see by that sweet face on your blog header that you are a dog lover too. :-) Hope you're having a wonderful weekend. Hugs!